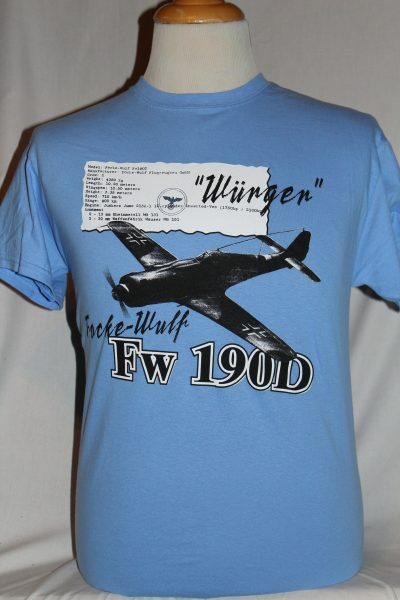 The Luftwaffe Focke-Wulf (FW190 D) Dora T-Shirt is a single sided print in blue. 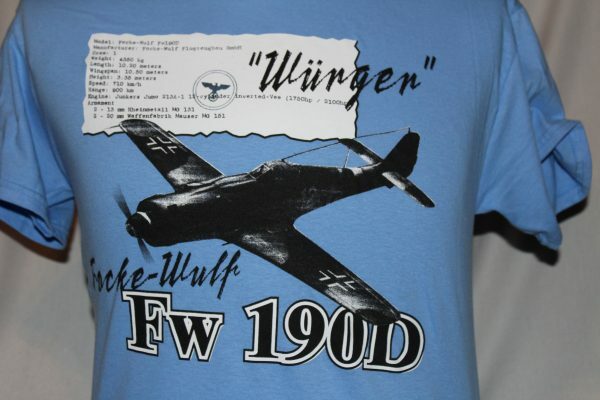 Front Design Only: In flight FW190D Dora with manufactures specifications plate, and text. Manufactures specification plate is in Old German font. Note: This shirts artwork did not transfer the FW109 in a lighter image. The reworked text was perfect. We will discount this shirt at $15.00 until we run out and redo the artwork.